Having goals is an essential part of success, both in tennis and in life. There are many reasons why goals are important, but to put it simply, goals drive us forward. They provide us with focus, direction, motivation, a measure of progress and accountability. 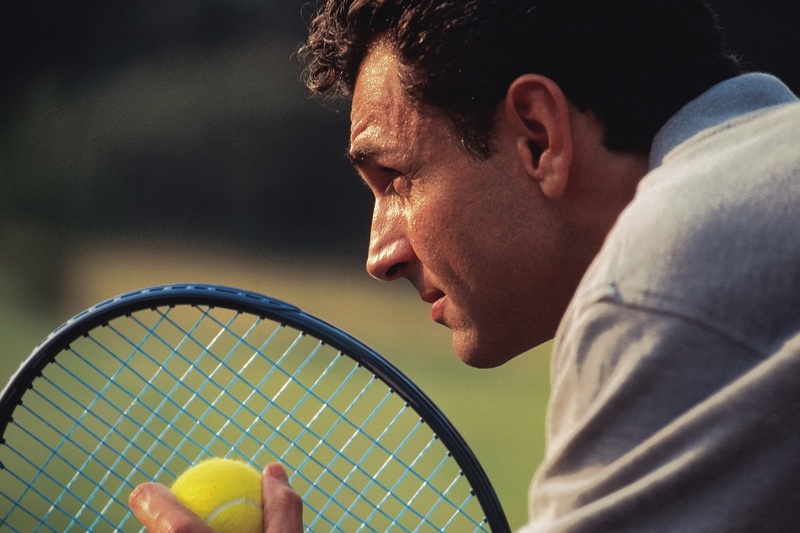 When it comes to tennis, players must set their goals based on the vision of self and game. What is it that you currently want to achieve by playing the game? The answer to that question is one that is necessary and will lead to answers that will serve as your roadmap for playing, enjoying and succeeding at tennis. Don’t be afraid to think big either. As Bo Jackson, one of the greatest athletes of all-time once said, “Set your goals high, and don’t stop till you get there.” When you dream big, you achieve more. For some, the goals may be to learn the game, or to maintain a healthy lifestyle. For others, goals may include making a high school team, winning a league, achieving a certain ranking, playing college tennis, or for a select few, playing professionally. Ultimately, you need to know what your purpose is in playing the game because you will be dedicating a lot of valuable time and energy into it. With that said, setting goals is not the be-all and end-all. Goals need to be accompanied with a clearly defined set of steps to be taken in order to reach the desired outcome. What steps will be taken, how they will be accomplished, and when they will be completed by, are all things to consider. While I strongly believe goals and steps should initially be set by the player, I also believe the coach and either parent (if junior), or significant other (if adult), should play an important part in this process as well. The coach serves as an incredibly useful source here. He or she has the experience, expertise and skill-set required to help you further define your goals, benchmarks and the optimal plan to achieve the goals. Sitting down with players and goal-setting is the first thing I do when I work with new players, and something I do on a more customized basis with existing players I train. This allows me to not only better understand my player, but also how I can best help them. Parents or significant others also play a vital role. They are the ones who know you best and spend the most time with you. Due to this, they can provide another essential guiding voice when taking into account schedules, resources and all else going on in your life off the court. By having the player, coach, parent or significant other all aligned from the beginning on the goal at hand and what steps are needed to reach it, the road to achieving becomes straighter, quicker and easier. It may be an individual sport, but you need a cohesive team around you to succeed. Once goals and steps are laid out, they should not be forgotten. Instead, they should be looked at frequently and serve as a reminder of what you’re striving for. As importantly, stay laser-focused strictly on what you initially set out to do and don’t let distractions or negativity get in your way. Tennis can be a very tough, mean, and at times lonely sport. As with life, there are bound to be difficult times, however you should always remember that it doesn’t matter how many times you fall, what matters is how many times you get back up. So, when a step is completed, no matter how small or large it is, or how quick or long it took to achieve, check it off your list, and be proud of yourself for moving the ball forward. Take a moment to cherish it and taste how sweet it is, but don’t have too large of a celebration, save the larger celebration for larger wins. With hard work, dedication and perseverance, there will come a time when your tennis goals are achieved. Reward yourself and have that big celebration you deserve for all you sacrificed to reach the desired outcome. Once you’re done celebrating, stay away from complacency, and begin setting new goals that build on what you just achieved. Evolve, stay humble, work even harder, have fun while doing so, and remember to always begin with the end in mind. Jonathan Raude was recently named the Managing Director and Head of High Performance/U10 Tennis for New York Tennis at Great Neck. Raised in Queens, N.Y., Jonathan was a highly-ranked junior player who went on to play at Boston College, where he played as high as number one singles and doubles, and served as a two-time captain.